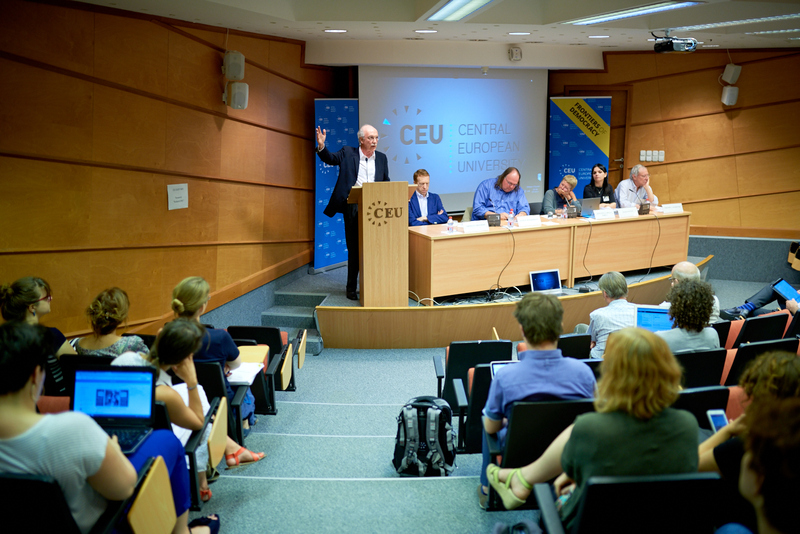 Over the past two years, through the Frontiers of Democracy initiative, CEU academics and invited experts have explored the many aspects of democracy – from how it develops and functions, to how it has been challenged and has eroded in some regions. 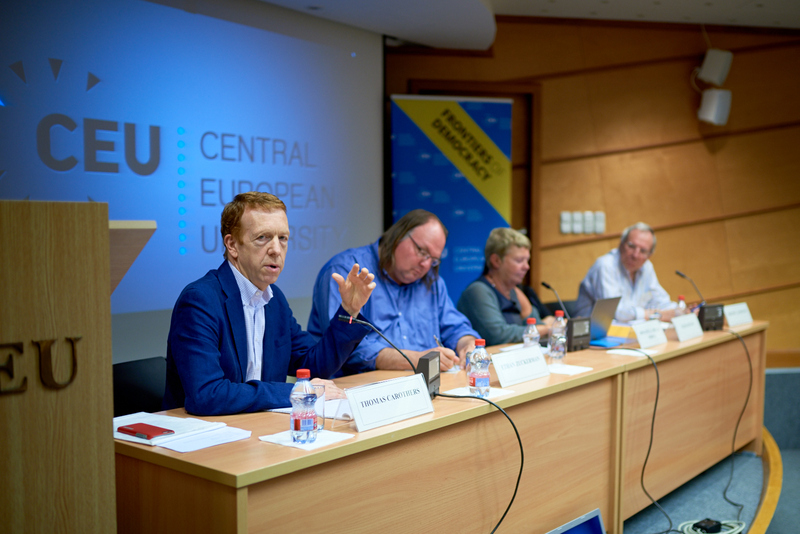 The final Frontiers of Democracy conference titled “Making Democracy Work” took place June 23 and explored innovative practices that are being used or planned for implementing, expanding, improving or changing democracy. The first panel of the conference, chaired by Donatella Della Porta of the Scuola Normale Superiore in Florence, focused on initiatives by civil society actors that show how those outside government can operate to promote democracy where existing governance systems are oppressive and decaying. In what Della Porta referred to as “deliberative democracies,” high-quality spaces are developed where good citizens can be formed. “What we have to produce are identities and, for this, we need the creation of arenas of participation. In the past, these were created by political parties, for example. Nowadays, there is a lack of trust that won't allow this.” She said alternative actors are now necessary for deliberative democracies to function well. Jan Kubik, from University College London, is a native of Poland and, considering the erosion of democracy in his home country and on the heels of a conference on Ukraine, he was feeling less hopeful and optimistic about the future of healthy democracies. “The key assumption I'm making is that democracy is a complex architecture and, within that, civil society and protest actions are only some of the elements. Much depends on the interactions between these and other actors within the system,” he said. He explained that the way civil society and other non-governmental actors operate depends very much on the overall system of governance. For example, under full authoritarianism, he explained, a dualism exists with state-sponsored transmission of the people's will (through GONGOs) but then attempts by citizens to manifest their own will. Professor Laszlo Bruszt from CEU’s Department of Political Science and former CEU Pro-Rector said democratic experiments often fail but they can “nurture and create agents to destabilize and try to induce change.” He talked about territorial land development programs during Central and Eastern Europe's transition to democracy and how central governments were tasked with helping develop diverse and rural areas within their countries. “Central governments were supposed to find out what to do for development in very diverse places. They didn't have the incentive to do so because, once they had resources, they didn't want to use them for underdeveloped places.” Bruszt noted that governments would, instead, use the money to woo their own party members and for other unrelated things. 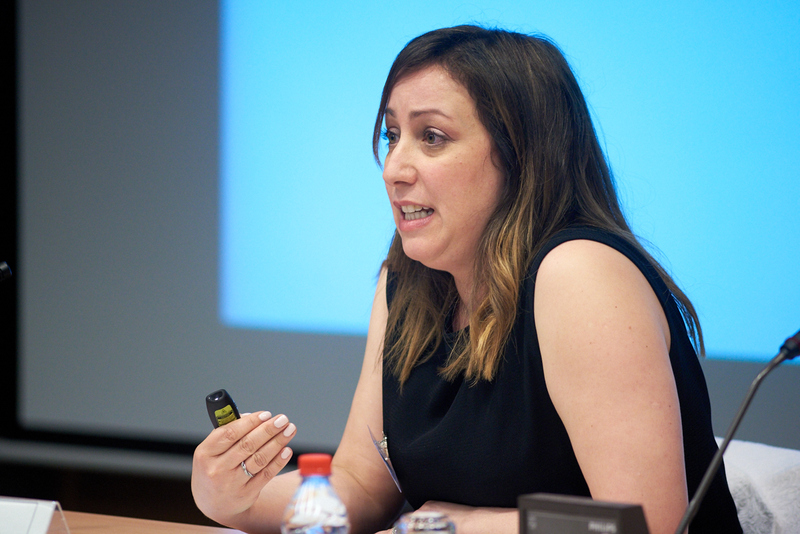 Intissar Kherigi of the Jasmine Foundation (Tunisia) gave insight into post-revolutionary Tunisia. Although Tunisia is, on paper, a liberal democracy, she noted that there are still issues with respecting new rights. “There is still very much a state that is trying to hold onto its power and prerogatives.” However, she reported that spaces for open discussion and debate have been opened up and are thriving, and these citizen-led initiatives are often led by young people who do not see a place for themselves in elected government. 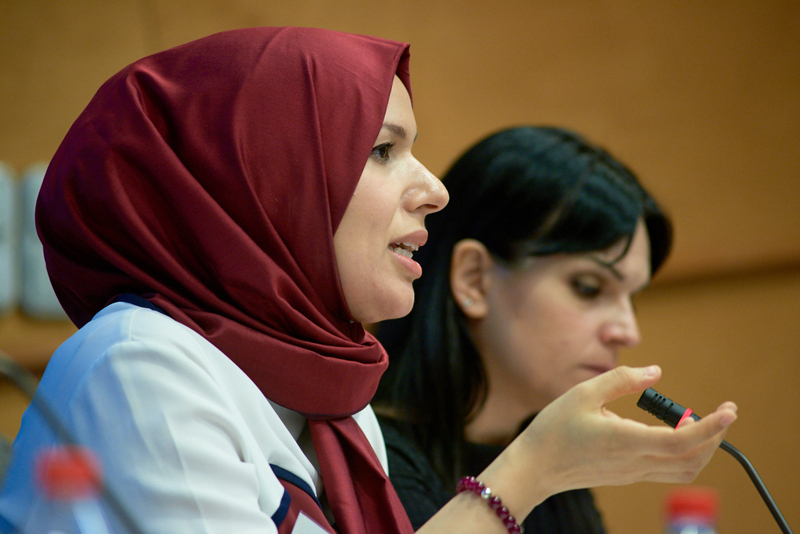 She gave the example of Al Bawsala, a youth-led NGO set up to monitor the activities of parliament. Physically embedded in parliament, members of the organization report out to their 180,000 Facebook followers. Picking up on Kherigi's presentation, Elena Pavan of the Scuola Normale Superiore in Florence noted that civil society organizations are creators of knowledge and leaders of debate. She addressed the fact that civil society organizations represent every part of the political spectrum. Eduardo Romanos from Complutense Universidad de Madrid studies the role of technological activists in transmitting the demands of movements and how much they intervene in the institutional implementation of democratic innovations. Innovations develop when tech activists have the opportunity to work as external collaborators with institutions that trust in the democratic potential of political mobilization from above, Romanos said. 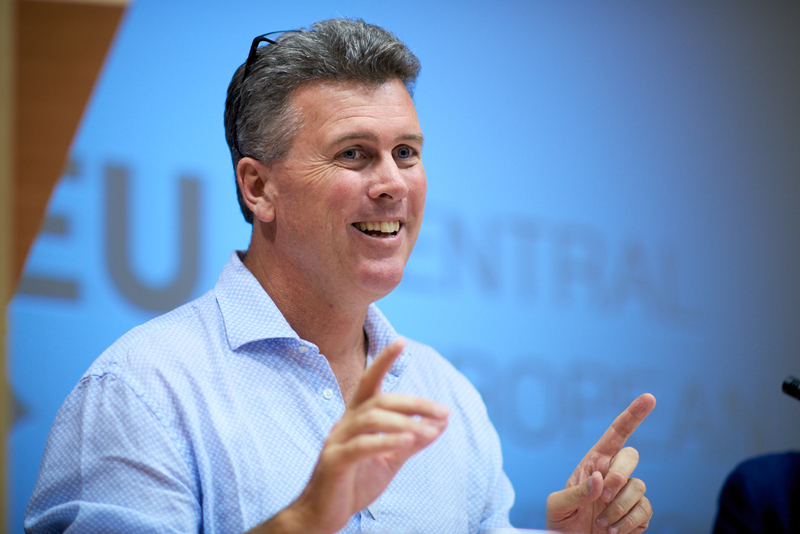 The second panel started with Benjamin Reilly, dean of the Sir Walter Murdoch School of Public Policy and International Affairs at Murdoch University. He talked about the increasing polarization of American politics and mentioned Thomas E. Mann and Norman J. Ornstein’s book “It's Even Worse Than It Looks,” which not only discusses the crisis of the American constitutional system, but also offers solutions to its woes. “Small technical changes in voting systems can profoundly influence the dynamics of the voting game,” said Reilly. Reilly also mentioned internal electoral rules in parties and power sharing in governments as fields where innovation can make a real difference in the workings of the whole democratic system. “In our research, we wanted to look at the realities of parties’ reactions to the economic crisis. We wanted to know whether all the action we heard about in the news really happened or not,” said Patricia Calca, political scientist at the Technical University of Kaiserslautern. The findings suggest that ruling parties’ policy activity was indeed stronger where the crisis hit harder, though those in opposition suggested very few actual policies. 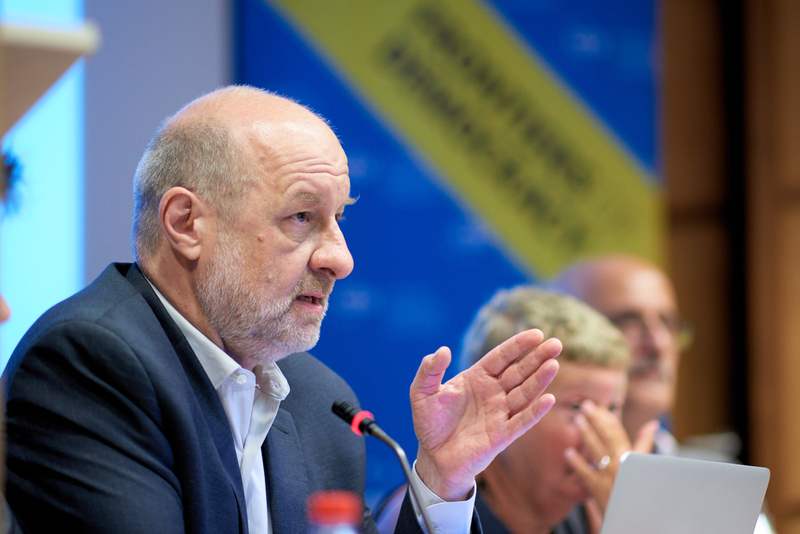 “A few years ago I had an opportunity to partake in a project by the European Council where academics and actual politicians had to discuss the future of democracy and come up with actual recommendations,” said Philippe C. Schmitter, professor emeritus at the European University Institute. Out of the 29 proposals, 12 were about parties and elections. The proposals included the introduction of the “none of the above” box, smart voting, shared mandates for two candidates - that could make it easier for women with families to run for office - and funding based on election results. Schmitter also discussed the answers given to the problem of “professionalization,” whereby politics have become a field dominated by professionals, not citizens, which was originally the idea. According to Schmitter, reintroducing the element of randomness might be a remedy to the problem. One of the solutions might be the creation of a citizens' assembly that could discuss certain laws chosen by the opposition. “Some of these practices have already been introduced, mainly in Scandinavia, but scaling these solutions up to a national level might prove difficult,” Schmitter said. “We hoped the Internet would bring us direct democracy, and solve the issues democracy faces. 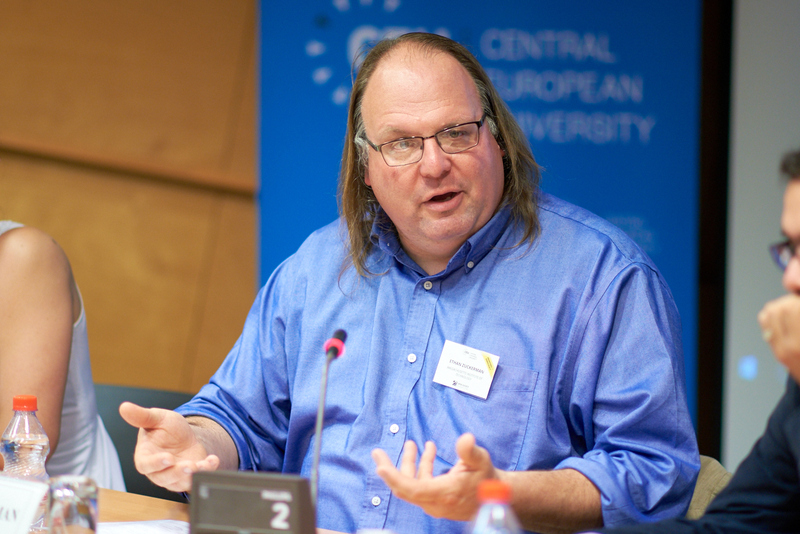 Now we see, that the Internet strengthened established parties and existing problems instead,” said Ethan Zuckerman, director of the Center for Civic Media at MIT and chair of the third panel: "New Ideas - Digital and Real Communities in his introduction." “The reality of today is that we live in surveillance capitalism. 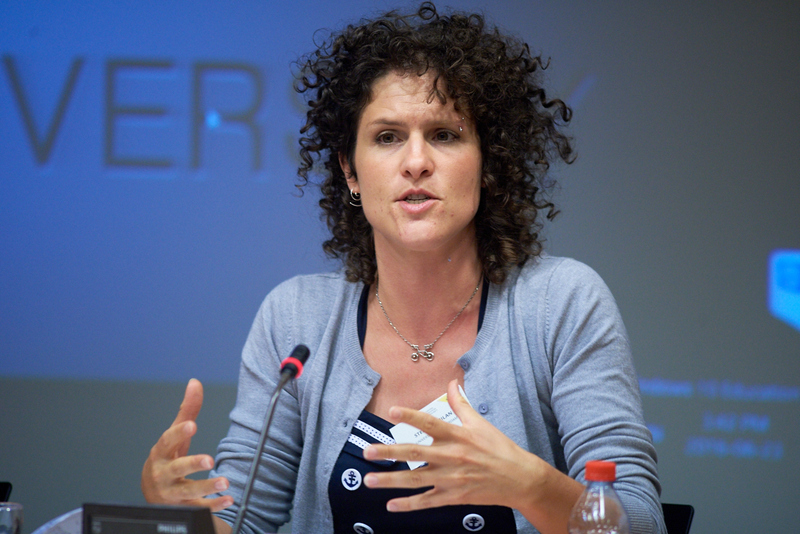 Big data is a challenge to human rights, but also a tool for activists,” said Stefania Milan, assistant professor of New Media and Digital Culture at the University of Amsterdam, and the founding director of the Data J Lab dedicated to big data analytics. She mentioned the crisis mapping efforts during the Haiti disaster as one of the positive examples of big data use. With the help of the African Ushahidi platform, participants mapped some 2,000 sms (text)-based reports, and saved many lives by connecting people. Cryptography and big data analysis can also be used to control government expenditures. The OpenSpending platform is one such example, enabling citizens to browse and compare government spending. The drafting process involved the online discussion of the proposals, and a wide range of participants and proponents could ensure that the eventual legislation could withstand the pressure of telecommunications companies and ensure net neutrality, while subjecting global companies (such as Google and Facebook) to Brazilian law in cases involving its own citizens. “The growing social movement of using block-chain technology is based on the idea that we can collectively maintain together such systems that can take care of important social functions without the involvement of big institutions like banks,” said Chelsea Barabas, head of the Social Innovation at the Digital Currency Initiative, at MIT’s Media Lab. There would be many benefits to conducting social activities like signing contracts, or registering companies and many other bureaucratic tasks in a secure and transparent space with rules clearly laid down in code. “As the recent debacle of a new block-chain platform Ethereum shows, when 50 million dollars’ worth of cryptocurreny was siphoned off, there are always bugs in the system, and they can be exploited just as loopholes in legislation,” said Barabas. “Translating our messy social life into code is very difficult, since code by its nature is very rigid, and the society of programmers building it don’t value flexibility,” she added. Participants in the final panel reviewed the weaknesses of democracy as a form of governance, and examined possible solutions. Chair Donatella Della Porta called panelists to discuss the agents of transformation, democratic differences and democratic misfits. “Democracy got the heat for faults of global economic stagnation in the last 20 years,” said Thomas Carothers, vice president for studies at the Carnegie Endowment for International Peace and founder and Director of the Democracy and Rule of Law Program. “Maybe we shouldn’t focus solely on problems with democracy,” he suggested. In our post-industrial political organization society, parties no longer correspond to the fact that people today connect in different ways. “We’re living in an age of puzzled gradualism: we can’t even imagine abrupt change until something sharp occurs. We live in an age of a lack of real driving political ideas,” he added. Democracies are not increasing in numbers, but we see major countries coming through in Asia and Latin America. Barriers across borders are being lowered for political influence, Europe and North America are no longer the “source of civilization and success." He continued, "This is a great moment of hope for the assistance community to realize assistance is not about 'bringing knowledge," but it means working together, facilitating change." When discussing democratic transformation, “no space in society that can be ignored,” noted Elena Pavan of the Scuola Normale Superiore. Everyone is a “knowledge producer,” if someone is hungry, or their human rights are violated, actions must be taken, she said. Social movements create networks, therefore networks are useful entry points in finding solutions to societal problems, she suggested. “What’s going on in US is increasingly anti-political,” said Ethan Zuckerman, director of the Center for Civic Media at MIT. Helping to elect people to office and and waiting for them to pass reforms is not a motivating prospect for young activists, and it is difficult to make a case for young people that this is the way to go, he noted. “Make social norms face change, change the patterns” he urged, for people who have given up on institutions and are removed from politics won’t return to politics, but can be reached other ways.